Back when I started this blog in February of 2009, I signed up on Twitter so that I could reach out to more hockey fans with the articles BT and I were writing. At the time, I wasn't really sure what Twitter was all about, but three and a half years later I can say I'm a HUGE believer in it. 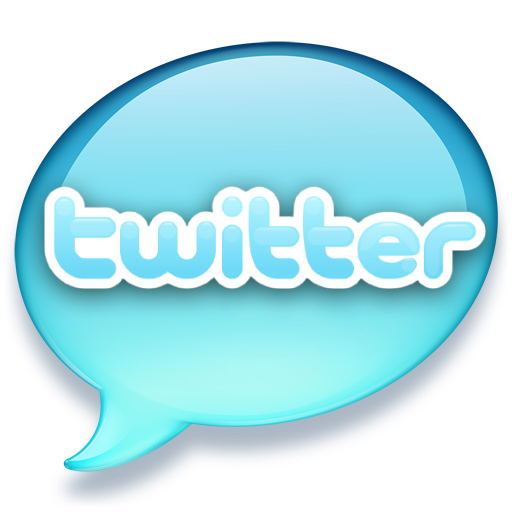 I think it's a valuable social media tool, and I'll admit without any hesitation that I'm now a Twitter addict. I usually have it always running either on my phone or my PC. It's a great way to keep informed about what's going on in the hockey world, not just the USHL. It's also fun to follow your favorite athletes, teams, comedians, actors/actresses, musicians, etc. Just about anyone you can think of in the public eye has a Twitter account these days. Anyway, I've started following a number of current, former, and future Stars on Twitter and I thought I'd share a list I created with all of the ones I'm aware of. Some of the players below tweet more often than others, but it's an interesting glimpse inside their daily lives. I'm sure all of the players listed below would appreciate some new Twitter followers, so follow them if you have an account. If you don't have a Twitter account, what are you waiting for? I put a similar list together last year about this same time, and the current list above is probably three times as big. More and more players are using Twitter as a social media tool, which is really cool to see. A lot of USHL coaches are on Twitter now, but unfortunately Chad Johnson and Jimmy McGroarty are not. If I missed any former, current, or future Stars....please let me know so I can add them to the list. I'm sure I'm missing quite a few former Stars. Leave a comment below, or send me an email at lincolnstarshockey@gmail.com. Thanks! Great work here Yeti! Twitter really is a great way to keep up with people you're interested in are willing to talk about. Good timing to do all that digging and research now, before the season starts. Wonder when the ice goes down at the Ice Box? Anyone heard? Can't wait to be back with the best fans in Hockey! @NorfolkFan from what Zoucha said at the last booster club meeting it sounded like the ice was going in this weekend so they could squeeze a couple practices in before the games up on Duluth next week. Scratch that, I'm off a week. Oh heck why am I even commenting? Yeti will know when the ice is going down. There are a number of high-school aged players already in town, such as Daniel Willett, Zack Pittman, Max Humitz, Michael Bunn, and Luke Johnson.